Not exactly everyone’s typical thought when they’re about to die. What will a cowardly young man do when reincarnated with the evil powers to redefine his destiny? Can the natural kindness of human nature triumph over evil? Will he become the cold-blooded demon king of legend, or will he forge his own path and rain down another kind of terror? I agree with Sidneyvan's post for the major of what he said but I have a different opinion on it. In comparison to other novels, I find the author had a very good balance in his own focus of what is important to the story. Might be spoilers: The author did abandon a few plot elements but if you look at it from a macro world perspective, it could have just a small part of the bigger picture that helped the cultivation on what was truly important, his own Demon Powers. The author did abandon the plot of his wife's story as the story went on, which was unfortunate, but he did include them as a group which was important to keeping what the MC valued, which was family. MC did not abandon them for power or forgotten them as the story went on, but they were still relevant to the story. The ending was alot empty than I thought it would be, could have turned into longer chapters, but alot of everything that was emphasised and built up in the story had their own small part story in the end, which you don't get to see very often. /smallrant I remember a cultivation novel that was world building, with an army emphasis on friends, and how much on interaction between different parties and his friends. In the end, this novel made it into a "unknown power" level up MC that did not even mention the army or his friends in the ending, and turned into a one guy vs one evil guy ending. I'm currently on chapter 418 and one thing I can say is character development. He goes from a foolish child who plays pranks and lies to get what he wants, to a more grown and refined man. If you are a fan of magic and level up books then this is a great choice. The author did a great job showing his changes throughout the book as his cultivation gets higher. I have read 71 chapters of this book and can honestly say that it is not very good. The book falls into the problem of the main character getting everything he wants, while the world bends over to make sure he gets it. The interactions with other characters is awkward and often the dialogue is cringe worthy. 1 Star. Just not very good. MC was a virgin otaku shut in NEET in modern Earth. He got kidnapped by a devil dao practitioner to be used as a revival device in case he lost a battle. Not only did he lose the battle but his reincarnation spell was detected and destroyed, resulting in the death of the devil dao's practitioner's personality but still giving the MC all his knowledge and the seed of power for cultivating it back. Also the backlash from the spell breaking killed the MC, resulting in him transmigrating (with the... more>> power seed and memories of both of them) into a western fantasy world and possessing a pitiful slave in a magic academy that was recently killed for the lulz by one of the noble students. The MC then decided he will "get revenge" on said necromancy student (for the perfect stranger whose body he snatched)... he snuck into her room where she sleeps at night, woke her up, and pretended to be a zombie to scare her... because it is a well known fact that necromancers are afraid of zombies and apparently "scaring her" is suitable revenge for years of abuse and murdering him for the lulz. She screamed (and woke up and pissed off all the other students), but then immediately figured out what is going on. Instead of killing him again, she this time only delivered a beating... only we now discover she is jadelike, a future harem member (confirmed), and MC s*xually got off on being beaten. The other students all decided to spare him because he pretended to "have gone retarded" from the spell she used to kill him before. And as a shut in neet he somehow gained the ability to perfectly predict human behavior and logic! So he used his "genius" to perfectly predict that if he pretends to be "retarded" they won't touch him, despite years of horrible scarring abuse and even outright killing him on a whim. He will abuse this "pretend to be retarded" thing along with his perfect prediction of human behavior in many future chapters where again and again the murderous students will pointlessly spare him or accept his words as truth "because he is a retard, they can't lie!". Future chapters continue in the same vein. MC only gets stupider and stupider, acts out on every stupid pointless whim to perform prank after prank, and yet things constantly go his way because of plot armor and bad writing. Thus far it is my favorite novel. It's dark with a touch of humor, MC is pleasantly twisted and novel elements seem new and feel fresh. Furthermore MC isn't too idealistic. It has yet to fall into repetitive pattern. I have read until chapter 304 and to the end of the raws. Great story, great characters and very good romantic threads (not only short Episodes, that are in the other novels of this type). I admit, is quite slow beginning, but after the first 90 chapters all Develops and compensates for this (I personally treats them as an extended prologue). I also suspect, that this first 90 chapters are the main reason for this a few cases of low ratings. Looking from the point of further Raws and how Han Shou looks after those whom he considers as friends and family, I come to the conclusion that the synopsis is probably done from the standpoint of enemies who stand in his way. In other words: curious characters, interesting plot, interesting romances (not only short episodes), battles, magic and finally a decent necromancy. Nothing more, nothing less - a must for fans of that, what I mentioned above. Well, I like the harems, so for those who prefer monogamous relationships - advise bypasses this title. In the raws it's pretty good, unfortunately people won't be able to enjoy this much till it reach around chapter 95, which of course is far away. Please note that the amount of s*xy fun lewd times stays pretty consistent. Somehow it manages to stay within the story which automatically makes me go 5 stars! like many Chinese web novels, it's a great story up until it reaches half the story line after that its just a declining tendency. If you're planning on reading this my advice is to drop it after reaching around chapter 500. I rate it as average as I didn't like the whole novel, but some parts were enjoyable for example interactions with his harem at the earlier parts of the novel. we get introduced to behemoth one of the demon kings in the asura devil plane who was stranded in that realm for many years trying to find a way to get back to gods continent. after the MC finds a way to help her get back home they make a promise to meet in the future. they later meet when the MC goes to gods continent but only for a chapter when one of the mc's girls gets hit on by a young master and the girl kills him afterwards they have to flee so behemoth isn't mentioned again or doesn't contribute to the story. Other same characters are levy and other people who came from gods continent to look at the array in profound continent. Did I mention the part where the author decides to forget about necromancy and makes the protagonist consider his summoned creatures his children? Another point that the author makes this funny is he makes the protagonist control himself in order to not make his women pregnant so he can have children only when he is formidable enough and when his women hear that he considers his summoned creatures his children they think its strange. theres no relationship progress for Lisa and Sofie, for Sofie we only get to know that she was part of the harem when mentioned in the final chapter and we don't get to know how they came to be. Poor character development - harem novels are great and all, but It's pointless the girls are only there to add numbers. what I didn't like in the story is that the more we continue with the story the less active the harem is afterwards they become the mc's burden so he has to constantly come to their rescue or look for ways to make them stronger. Cultivation - at the start of the story the protagonist progresses fast but as we get closer to the end the author realises that there isn't enough cultivation stages so he starts dragging by keeping the protagonist in the same cultivation realm for so long, adding semi cultivation realms and also not being clear whether the protagonist has broken through a cultivation realm or not. As for the cultivation realms, some of them only exist to add numbers and don't have additional abilities. Poorly executed scenes - Due to the authors lack of skill in this aspect it causes some scenes to be half exciting as it should. The ending is sh*t - it's pretty obvious the author got sick of writing the story theres no build up for the final antagonist and divine spark divine lords who gets mentioned a few chapters before the story ends. The final chapter is so horrible and cringeworthy I regretted so much wasting my time reading a story. since the author got bored of the story he ended up leaving a lot of loose ends. Overall I'd say it's a good story to pass you're time but if you're looking for something to immense yourself in this isn't you're cup of tea as there's better alternatives. Reading this novel, I thought, why did this work set a high score? After reading the comments that become interesting after Chapter 90, I decided to give the novel a chance (because I used to have a God of carnage, the spirit world) and did not regret it. The beginning is long, very, sometimes boring, but with 90 chapters, the story is gaining momentum and the real colors of this product we see in all its glory. Indeed dark (brutal and the angry) blockbuster (not the warlock, an unsociable ruthless... more>> laboratory-the alchemist (even sounds pity)) a Necromancer, holding demonic brought arts. A variety of harem, exciting battles and characters. 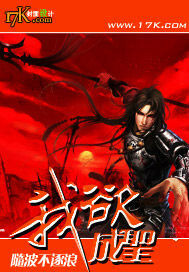 An interesting world, a mixture of medieval Western fiction and martial arts from Chinese novels. Quite exciting to follow the plot, waiting for new chapters. The author manages to make each work different from the previous one and it almost always succeeds (well and the sovereign of all worlds, was not the best, but even geniuses make mistakes). The author is very talented, so if you quit this job without reading until Chapter 90-100, give him another chance. DON'T TRUST THE RATINGS IF THEY HAVE ONLY READ 30 OR SOME CHAPTERS, BECAUSE THEY KNW SH*T !!!. However, it is true that the 1st 80 chapters are really slow and you have to be patient but once you've read past these chapter it's an amazing read, and I can garantie you that it's worth it and beside every story needs a good foundation and this one has a pretty solid one. If you enjoy Adu#t, S#x content, this one has enough but not too much to spoil the story and beside... more>> the books title has DEMON soooo, the MC ain't definite going to be a saint. This series is one of don't judge a book by it's title or description. Simply fascinating. I've just finished reading until chapter 2, and I'm already hooked up by this awesome series, the MC is human from earth that got kidnapped by an evil guy to became his extra life. But the spell is broken, instead MC is reincarnated into a body of ryan, 16 y.o. Slave from a magic academy. This is the first Chinese novel in this genre that I ever read and that is the only reason I stuck around for so long. MC is boringly OP. Also just plain boring and unlikeable in terms of personality The battles are badly written, boring, and predictable. Same with interaction between characters. Speaking of characters, the only somewhat interesting one is a skeleton MC summons. The title is somewhat misleading: "demon" there refers to "demonic martial arts", so you won't see an ascension of a demon king either. And of... more>> course it's filled with boring meridian wanking. I'll keep it short cause instead of reading a long as hell review id rather read the first chapter. I like the change in setting from a typical 'cultivation' type universe to somewhere with magic like in western type fantasies. There's cultivation regardless tough but it adds more to the story than take away from it. A very good novel, when all the times stumbles on the general plot. Necromancy, pull-push relationship, enemy turned lovers, hot teacher, and forbidden relationships. Undeads grow with the MC. Read it till the end. Worth oh. A little bit slow at first chapter but this novel very good. Action, comedy, and romance build in c50. One of my favorite. Very funny with dark humour. I recommend to read.